Continuing its strong leadership and winning brand position in the luxury car market for three consecutive years in India, the country’s largest luxury car brand Mercedes-Benz, reiterated its commitment to the Indian customer by showcasing an array of fascinating products at the 14th Auto Expo 2018. 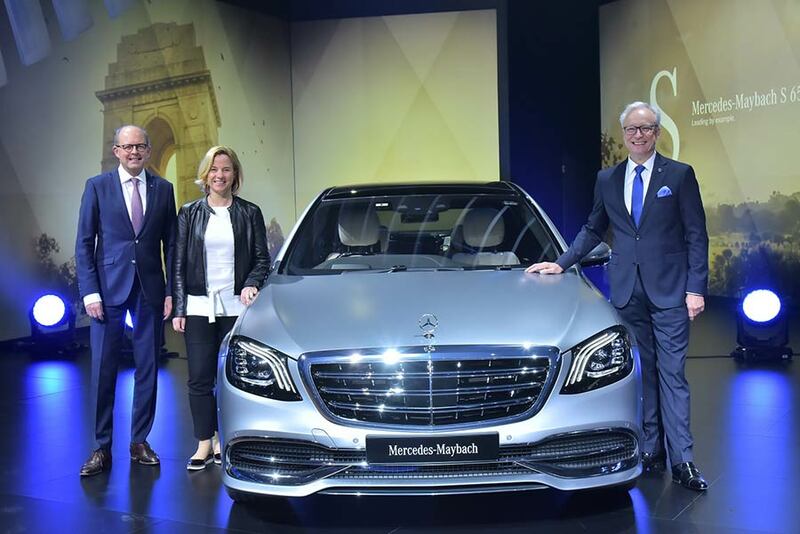 Mercedes-Benz kick-started its product offensive for 2018 with the launch of the exquisite Mercedes-Maybach S 650 and showcased the unique E-Class All-Terrain and the futuristic Concept EQ. Based on the theme of ‘The Best Keeps Leading’, the Mercedes-Benz India pavilion features a total of 13 fascinating products and is the largest luxury car pavilion spread across 1548 sq. mt. area. 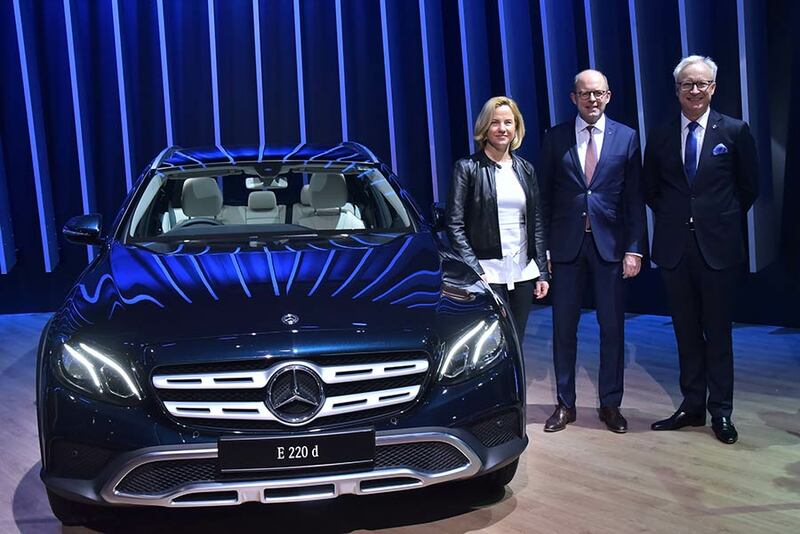 Present on the occasion were Ms. Britta Seeger, Member of the Board of Management, Mercedes-Benz Marketing & Sales, Mr. Matthias Luehrs, Head, Region Overseas, Mercedes-Benz Cars and Mr. Roland Folger, Managing Director & CEO, Mercedes-Benz India. The strong and steady leadership of Mercedes-Benz India underlines our belief in the growth potential of the Indian market. We are going full speed ahead for our customers – not only with the best products, but also in sales and aftersales. Auto Expo is the country’s flagship motor show and a great manifestation of the country’s sunshine automotive industry, at its best. The Auto Expo remains the perfect platform for Mercedes-Benz to showcase its ‘leadership’ in terms of products and brand experience to our discerning customers and auto enthusiasts. We kick-started 2018 by presenting the first ever ‘Made in India’ BS VI engine and fulfilling our commitment. Now with the launch of the Mercedes-Maybach S 650, and the showcase of the E-Class All-Terrain, we promise an exciting year ahead packed with stunning products, differentiating after-sales initiatives, innovative brand showcases and qualitative network expansion. All of which will firmly underline our ‘The Best Keeps Leading’ approach. Mercedes-Maybach S 650 stands for the highest levels of exclusivity, perfect craftsmanship and automotive intelligence. Mercedes Maybach sedans guarantee an exceptional experience for passengers. 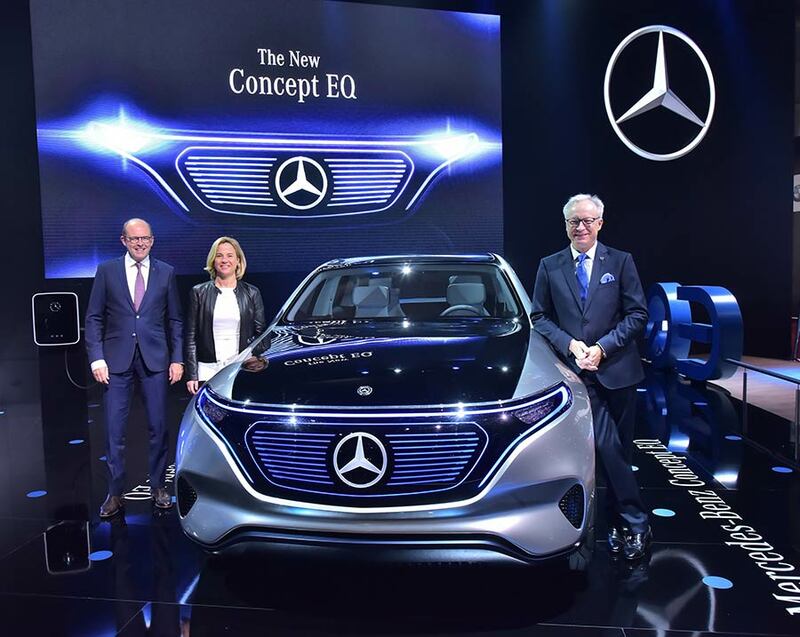 With ‘Concept EQ’, Mercedes Benz shows how electric cars can soon move into the fast lane: the concept vehicle, with the appearance of a sporty SUV, gives a preview of a new generation of vehicles with battery-electric drives. From unpaved tracks to rock climbing or steep serpentine roads to a snow-bound ski lodge– the new E Class All Terrain takes routes where conventional vehicles often have to give up. The E-Class All Terrain is the lifestyle-oriented, resilient vehicle. It combines perfectly the prominent look of the SUV-style with the intelligent spacing concept of the sedan. “Ask Mercedes” raises communication with the customer to a new level and provides answers in real time, 24/7, anywhere and via numerous communication channels (smartphone app, social media, and digital assistants). relating to the operation of current vehicles. customer’s smartphone, control buttons, control levers and displays can be scanned directly in the vehicle (initially E-Class and S-Class) to receive corresponding explanations.